I did not attend FunnelHacking Live 2018 however… one of my business partners did. 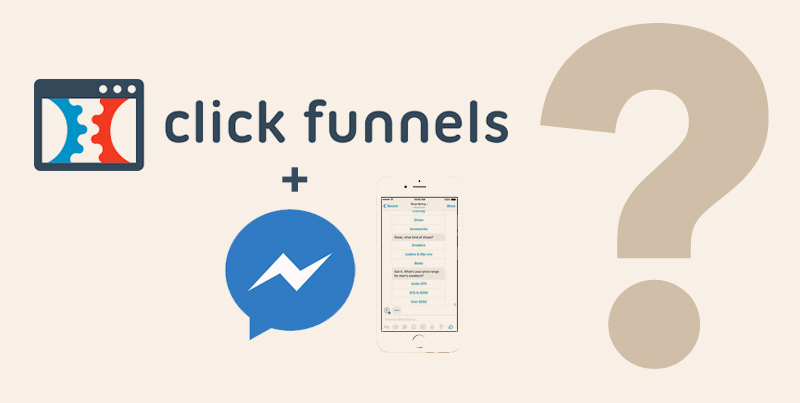 …and so, the word on the street is that Clickfunnels will have Chatbots Built into their platform!?? I hear it’s not a standalone 3rd party integration, but a Facebook Messenger Chatbot builder right along side Actionetics – their email marketing automation system. I have been building chatbots for about a year now. I only started using Clickfunnels a few months ago. Do you know the truth on this?? I haven’t seen any formal announcement. Here’s more info on Clickfunnels if interested. Please comment below or lets’ chat if you are looking to do more with clickfunnels [ and / or ] FB Messenger Chatbots.